CEO Leadership: What Are You? I’m not talking about your title. You worked hard to get the big chair and have CEO or President after your name. That’s your role or function or authority, but that doesn’t tell us what you are. Harold Geneen (ITT) was a tyrant. Brilliant, but still a tyrant. Donald Trump (TRUMP) is an autocrat. He’s running for President and gaining popularity, but he micromanages his business. Steve Jobs (APPLE) was a dictator. Genius in many ways, but dictatorial always. Bill Gates (MICROSOFT) is a combustible brainiac. He scored 1590 out of a possible 1600 on his SAT’s. Nobody can question his brainpower. Gates is a brilliant strategist willing to shout down anybody who gets in his way. It’s likely easier when you know you’re the smartest guy in the room, literally. Larry Page (GOOGLE) is low key, likable and intense. He’ll make everybody “most loved CEO” list every time. Jeff Bezos (AMAZON) largely ignores Wall Street with a maniacal intensity on customer service. It’s also why he’s among the top 20 richest people on the planet. The stock just continues to go higher! Just look at what you do. Look closely at your behavior. Examine how you communicate. It’s the last day of 2015 and time to look more closely in the mirror than ever before. Not because you’re doing it wrong, but so you can better understand what’s showing up in your work. Employees, vendors, partners, customers. They’ve all got you pegged. It’s not based on your PR campaign or advertising budget. 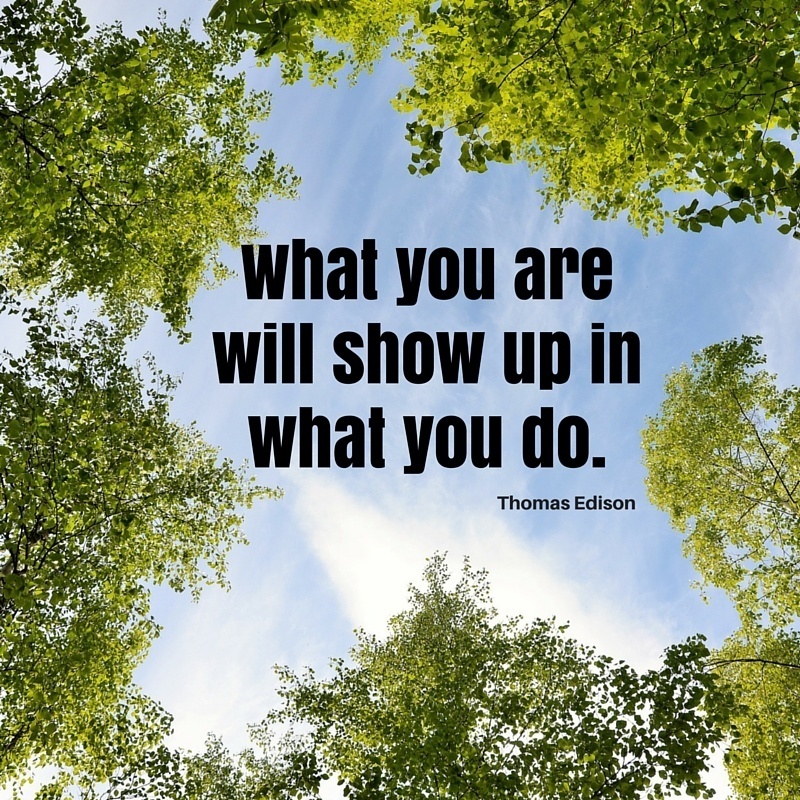 It’s based on how you show up every single day. It’s based on how you act, how you speak, how you write, how you react, how you confront and how you lead. In short, it’s based on how you manage the work and how you lead people. Make this the year to be what you want to be — what your company needs you to be.